Day 68: Rest Tomorrow…HIKE Today! I slept pretty hard last night and woke up later than usual. I got going at 6:50am and had a couple of options today. It was about 22mi/36km to the next town of Havelock. 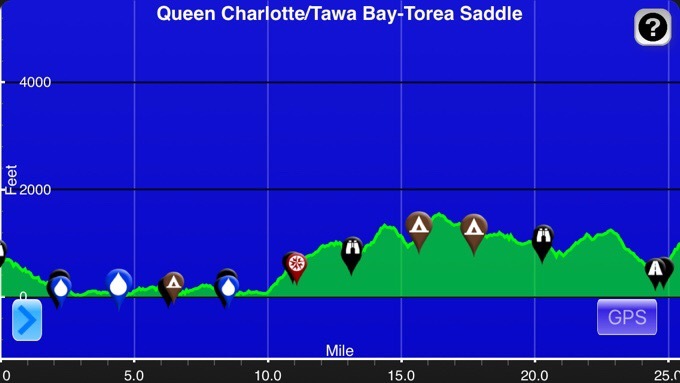 The next section of the TA after Havelock is one of the longer carries of the trip. The TA goes through the Richmond Range and will probably be 6-8 days. That is a fairly heavy carry. I noticed that Why Not, my friend that hiked this last year, had a good strategy. There is 14mi/22km of trail from Havelock that can be hiked that is next to the highway to easily hitch back to Havelock. Why Not did those miles and then hitched back to Havelock so she could save a day of food carry and walk that stretch with a lighter pack before the heavy resupply going into the Richmond Range. I figured if I had the time and energy when I got to Havelock, I would either hike 15 or 22km more to one of the two exit points, and then hitch back to Havelock tonight to have that piece of trail done since I have time to do it. First though, I needed to get to Havelock and see how I felt. 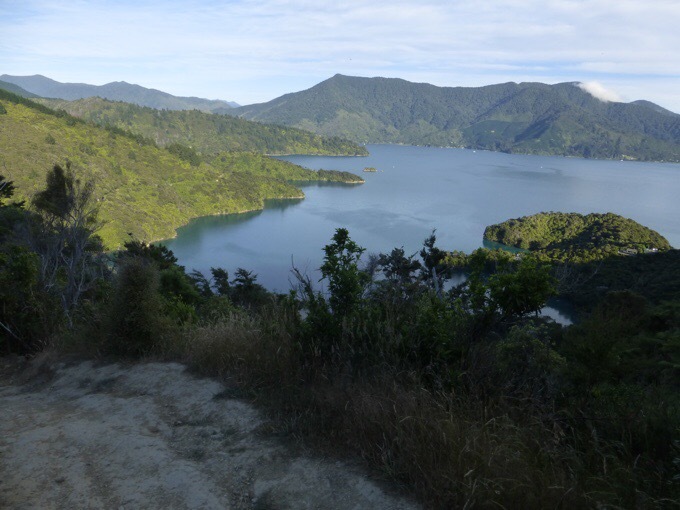 The remainder of the Queen Charlotte track was great! Morning sun over Torea Bay. I had a bit more of a climb, and the final two hours or so was a gradual winding trail going down. I don’t think we’ve had anything this great for such an extended period of time all trail. Yesterday, I couldn’t enjoy it as much with how I was feeling, but today I’m on the rebound and felt like I was woken up out of a funk. 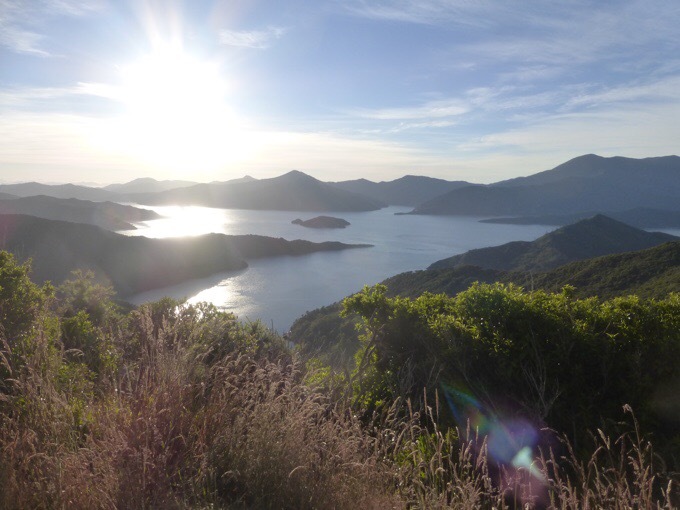 Morning view over Kenepuru Sound. I was able to cruise and stretch my legs. 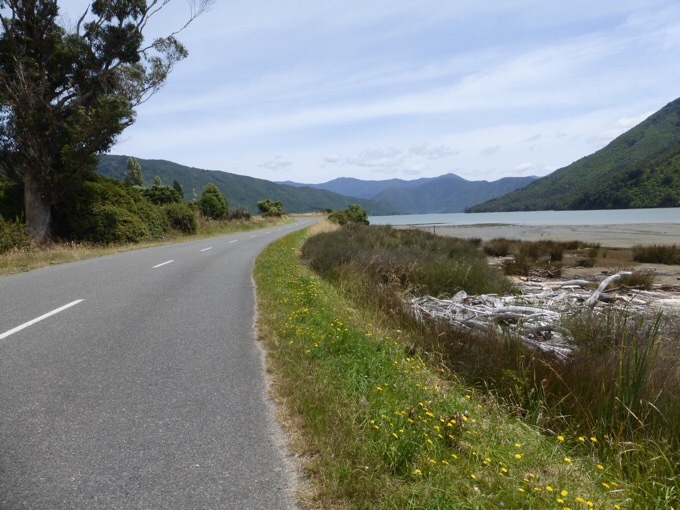 I felt a natural fluidity that I haven’t been able to feel on the Te Araroa much at all. There is usually terrain on the TA that affects a natural stride and feels uncomfortable. It felt natural and really good this morning. It was easily a 3mi/5km an hour pace in mostly shaded track with a nice breeze and a gradual downhill. 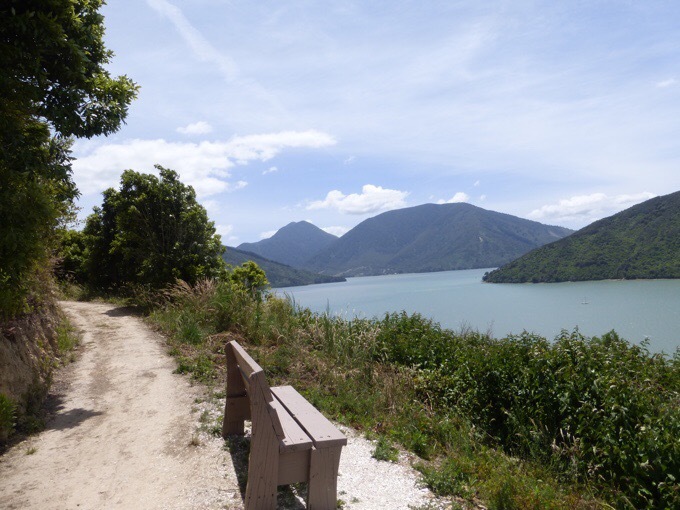 There were many people out on day hikes and mountain biking the trail. It was nice to see so many people out. The mountain bikers are quite nice, and the ones that came up behind me on the downhill were very polite. I know there is a lot of worry about allowing mountain bikers on the hiking trails in the United States, but out here people are so polite that it is easily shared. Of course, with track like this I was feeling invincible and like I could hike forever. I had high hopes for making a big mile day. The end of the Queen Charlotte Track at Thompson Bay. There is work being done to make the connector trail (called the Link Pathway) complete so hikers don’t have to walk the highway with little shoulder. It was pretty great, and one of the best efforts I’ve seen all trail to accommodate hikers needing to walk a section where there is high traffic. We don’t need anything fancy, and these small dirt paths next to the road are perfect. It is a multi-use trail for cyclists as well. The Link Pathway construction is in process, so it still had some stretches where I needed to walk the highway, but it was a lot less than I expected. 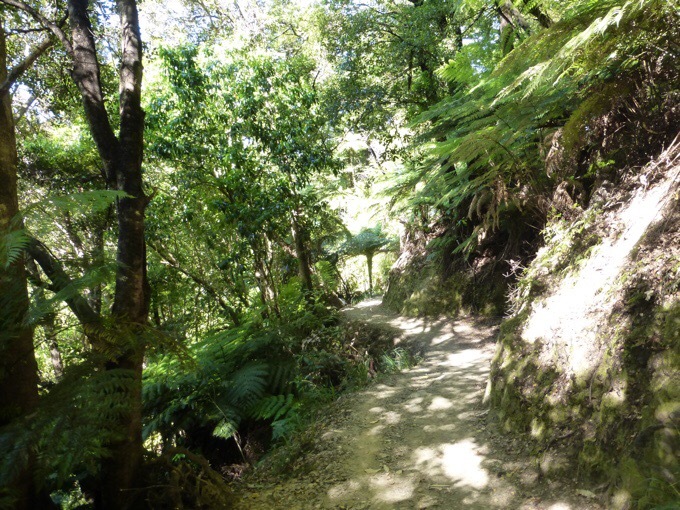 At one point, the link trail went up on the hillside above the road and it was great! Just wonderful to see such effort put into making a path for the cyclists and walkers. Great views and very relaxing. I applaud the people who put the effort in to make this happen. 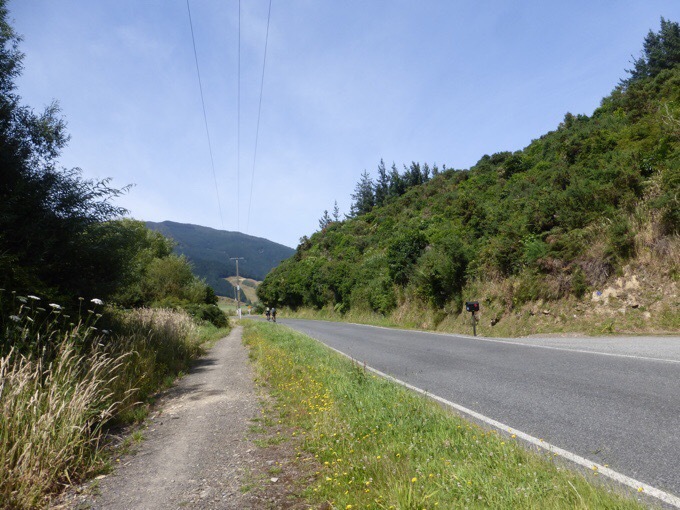 It would be cool to see it someday happen along more of the road walks on the North Island. 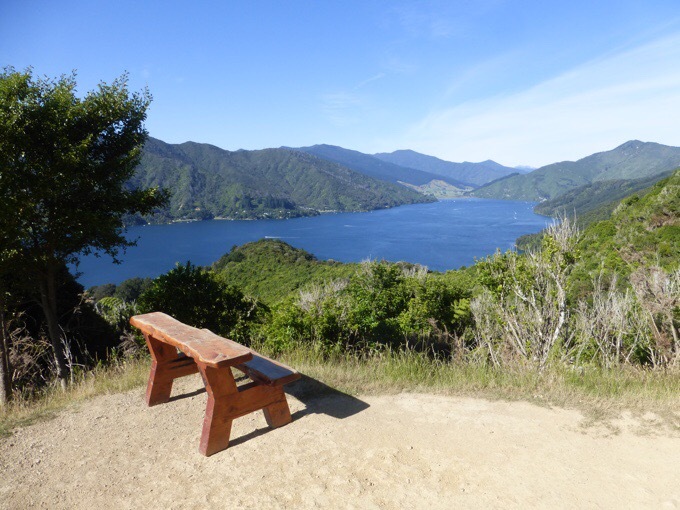 Link Pathway overlooking Pelorus Sound. 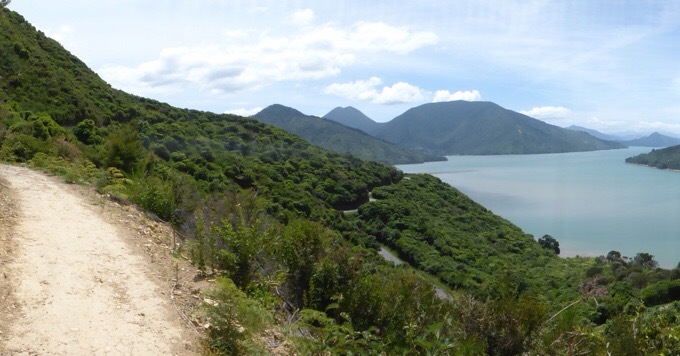 Link Pathway overlooking Pelorus Sound and the highway. 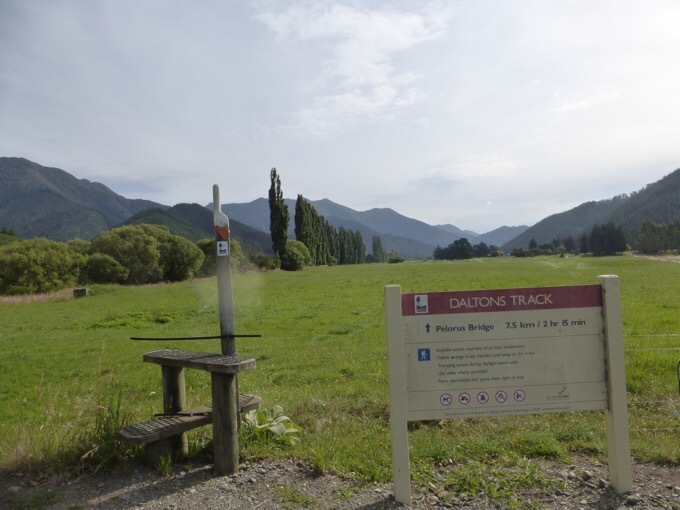 I got into Havelock around 2:30pm and decided to give it a go to continue on to Dalton’s track another 15km after taking a break. 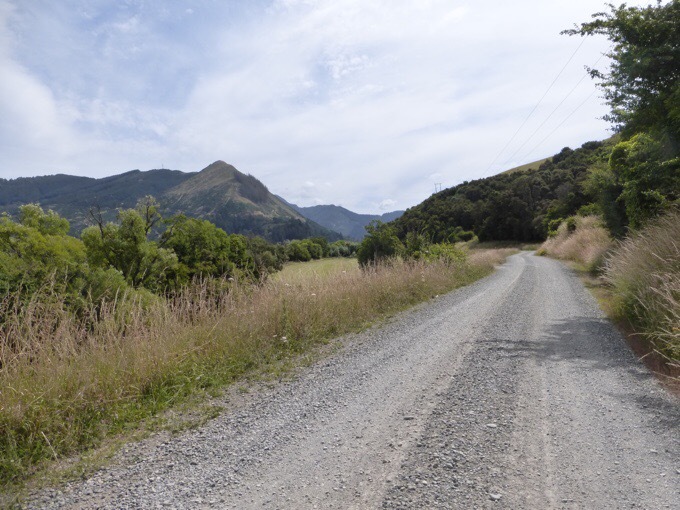 It was a bit of a walk on the highway and then it turned off onto a gravel road. It was the hottest day so far with my thermometer reading just over 90F/32C on the gravel walk. I used my umbrella for shade. My legs broke out in their yearly heat rash as my body is adjusting to the heat. Yep, summer has finally arrived! I don’t need to do big days like this all the time, but it does feel good to do them every so often. I do feed off of more challenging days. Oddly, they energize me more than shorter days, and I sleep really well. There has been plenty of opportunity to pull out a 30mi/50km day with all the road walking we’ve had, but there just hasn’t been a need to do it. I was motivated today, and just needed to get it out of my system, so this was the perfect opportunity. It felt really good and I am sure I will sleep well tonight. I do kick myself for not waking up earlier because I could have done 5mi/7km more, but it was nearing the end of the day so I didn’t want to push it. I did enough, and also heard that the next section had spots where I will have to get my feet wet, so I don’t feel the need to do that tonight. I’m happy to keep dry feet. I’ll be back for this fun in a few days. I got the hitch back to Havelock within 5mins, yay! I am staying at the Havelock Holiday Park, and was settled by 6:30pm. They give TA hikers a discount price of $15NZ/$11US. I am not going to be here long, so I didn’t buy any wifi, but they had a great deal of 10GB for just $5. It’s normally 1GB and I thought it was a typo, but it isn’t. I totally would have taken advantage of that if I was here longer! I do have to say I greatly miss my solo campsite from last night. Part of the deal for TA hikers has me in a patch of grass by camper van parking and the kitchen. An older French couple arrived just before 10pm and is parked just 5m from my tent. The exhaust was running for awhile and they were talking a lot. Then they setup a table and are smoking a ton and it wafted into my tent and I had to ask them to move. Even moved, it’s wafting over the camper van to me. They aren’t just regular cigarettes either. It’s like cigars but worse. It’s 10:30pm! To add to the fun, there are three couples in the eating area nearby with the bright lights on having conversation as if it’s midday. There are street lamps lighting up everything, so I have my buff over my eyes. Yep, I paid $15US/11 for this. I will probably be back when I finish the Abel Tasman. I think they were trying to be kind putting me so close to the central building, but I will be sure to request a different spot away from the camper vans. A bit more on today. I got a window into seeing how my hike could have gone solo. I tend to do more miles solo just for something to do. I passed five other TA hikers today, two couples and a section hiker. I know that Ned and Felix have each taken off excitedly on the South Island just ahead of me. They have also thru-hiked before and have that same personality as I do that the more challenging trails and wilderness tend to energize us and we want to push to see what we can do. I do wonder if this bit of solo hiking and stretching my legs will either make me want to do it more, or if it will satisfy that urge to push for awhile. 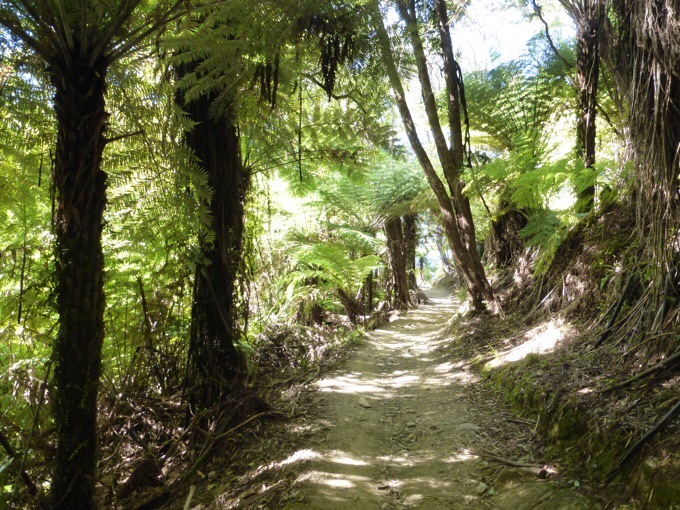 I was getting used to a more relaxed pace on the North Island, but it was only fun with another person to filI the time. I guess we will see how things pan out. 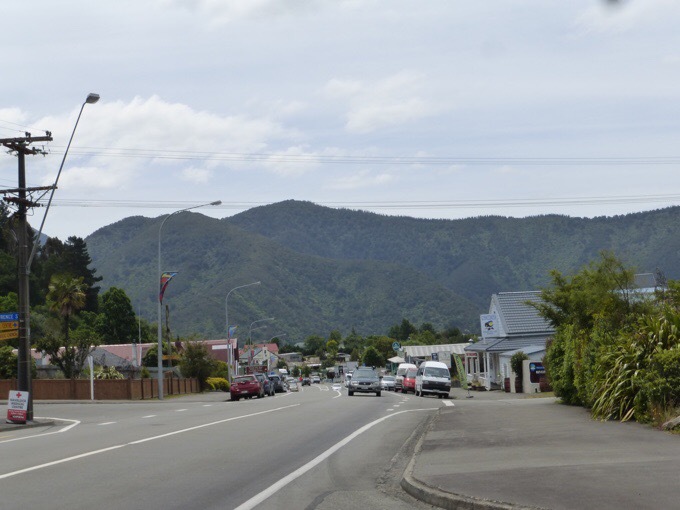 Tomorrow, I have all day to find a way to the beginning of the Abel Tasman, which is about two hours away from where I am here in Havelock. It is popular, and I shouldn’t have a problem hitching there, but it’s going to take mutiple hitches. My signs are made! 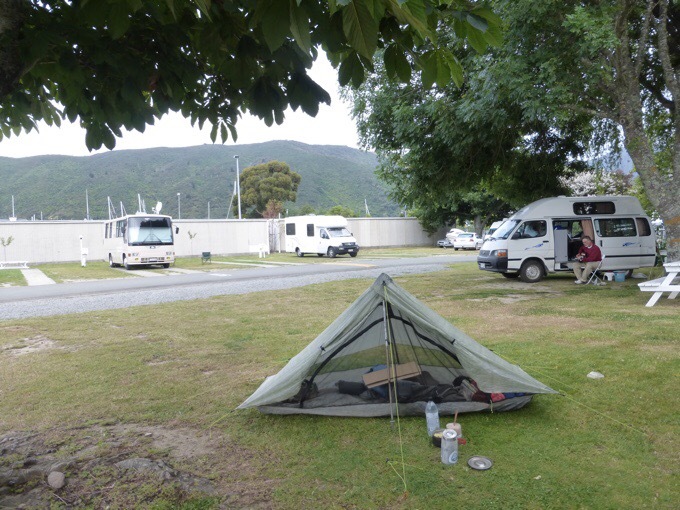 For the Abel Tasman, I have one of the campsites that are near the beginning booked, so there is little pressure to get there early tomorrow. I’m hopeful to get there early and relax and possibly watch shows. I’m just glad that all of this is working out so smoothly. 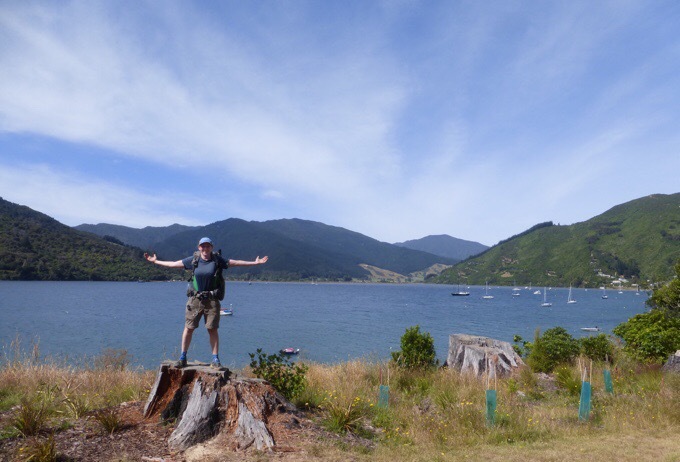 A heads up that I may not have reception to post along the Abel Tasman for a couple days. What an awesome day. And congrats on 31.5 solo miles. Hope you really enjoy the rest of the solo time. I’ve been impressed that you have let the chips fall where they may along this hike. 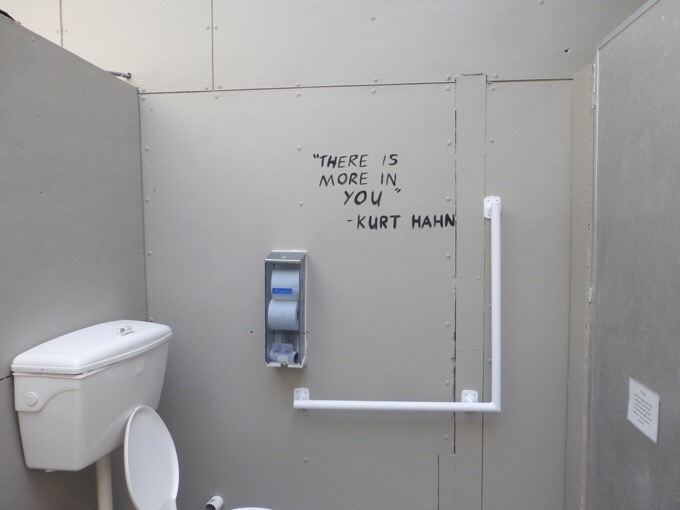 When you do that I think you have more fun. And it is neat to know that you’ve really enjoyed hiking with Becky and to read today how that has made the shorter days more fun. Hopefully Becky will have a good rest and then you two can really challenge the South Island together. The Blue Moon lodge in Havelock let us camp outside for roughly the same price (don’t quote me on that) and was much nicer than the holiday park looks. Might be worth asking about on your way back through town. Blue Moon had the best Espresso on the whole trip! For sure! I always carry all my weather gear. I’m a total wuss being cold or wet. A “perfect” opportunity it’s to stretch your legs! Really impressed with the distance you have walked. Definitely going to ditch my hiking boots and get my pack weight way down, as it obviously makes a huge difference. I’m generally finished at around 25kms in a day. It does help a lot! Meanwhile, while you are finally getting summer, Portland had 12″ of snow. The drive thru redwood in N Cal, shattered and fell down. Ski resorts in N Cal shut down.. avalanche.. Flooding too with this storm. We just get bands of rain. Sounds like this solo time was just perfect for you.. um, except the sleeping arrangements. I grew up with smoking, but now I am not the least bit tolerant of it. I even had a patient who though I would let him vape in my car.. no way. Hoping to read about a much better campsite in the next entry.